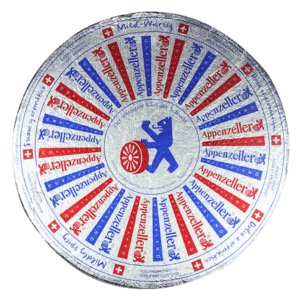 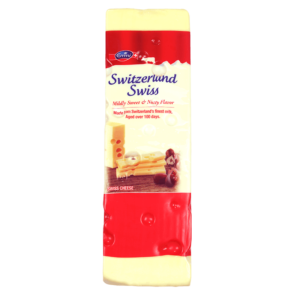 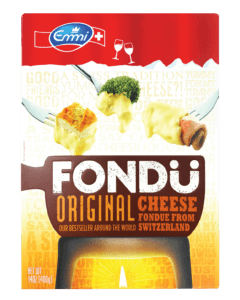 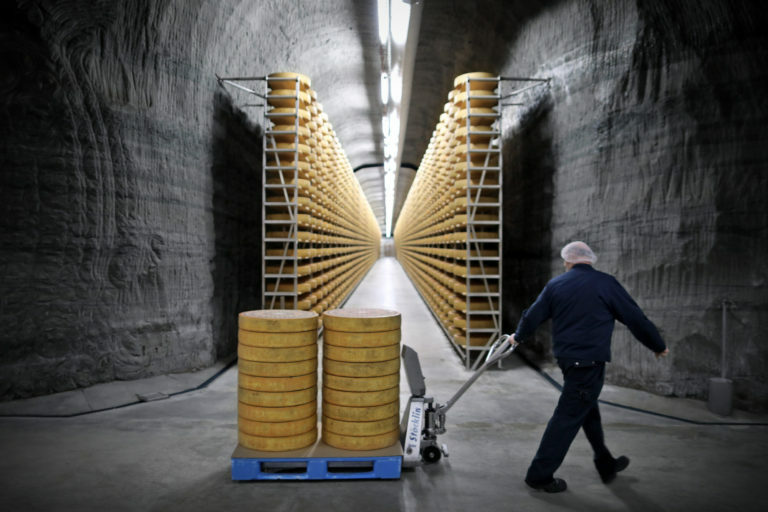 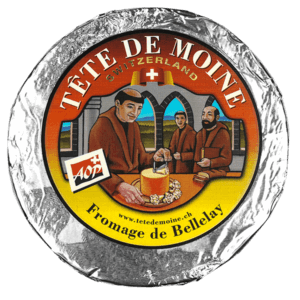 All of Emmi cheeses are carefully aged in cellars and caves across Switzerland. 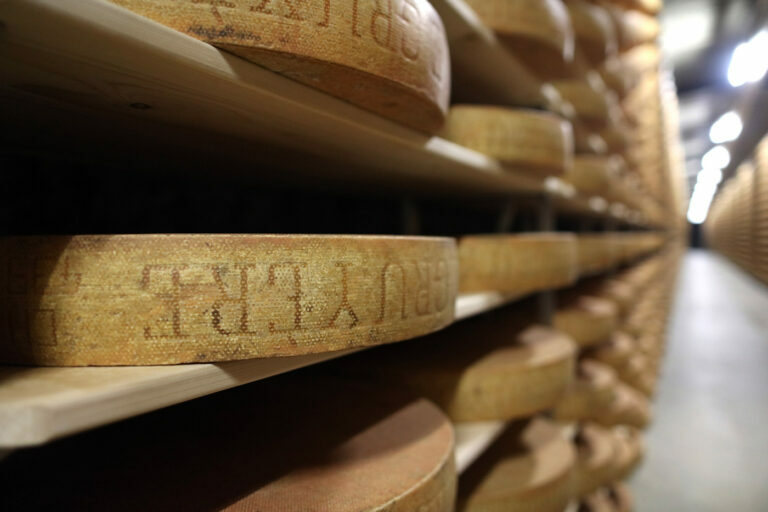 Some of the best are selected for extended cave-aging in the famed Kaltbach Cave near Lucerne. 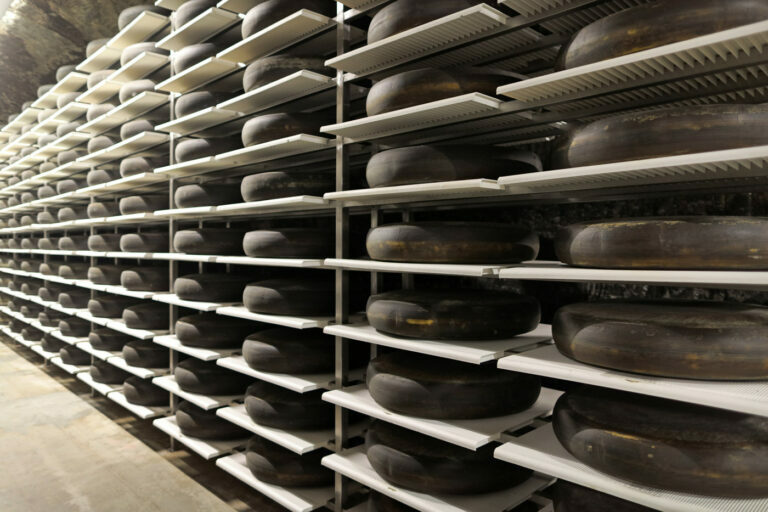 Our Kaltbach cheeses are carefully crafted in the deep, cool Kaltbach Cave. 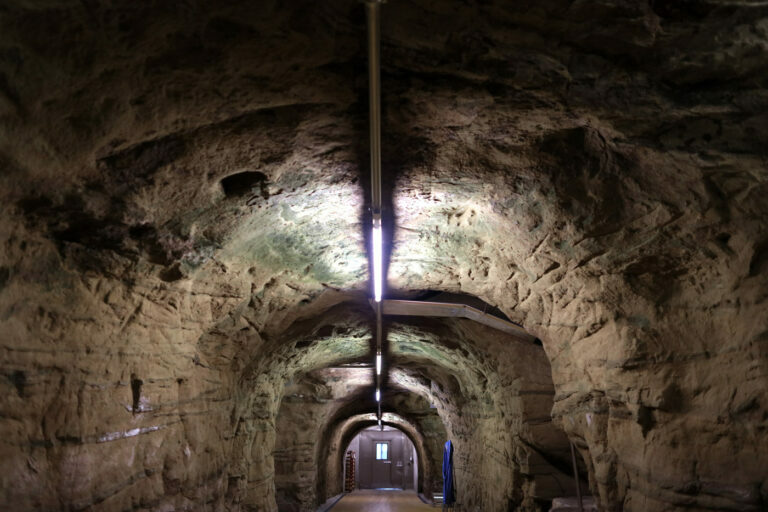 Located in the Alpine Valley of Switzerland, the cave is a 22-million-year-old natural sandstone labyrinth with a small tranquil river running through. 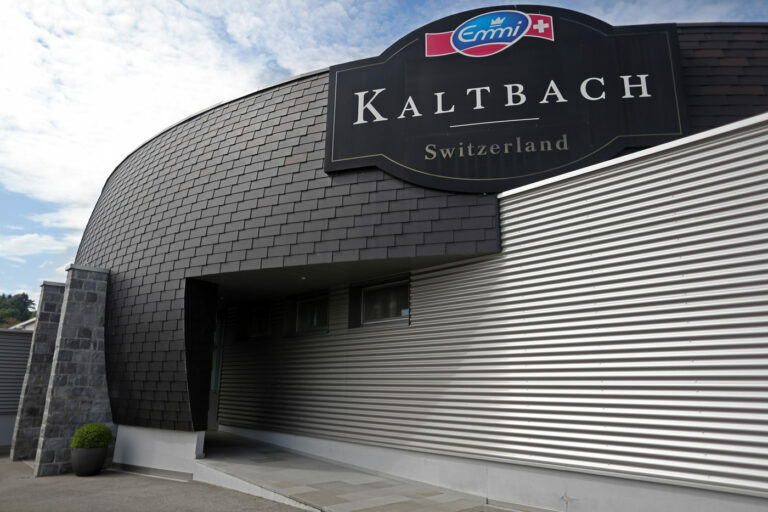 In fact, Kaltbach means “cold river” and it’s what allows for a constant humidity of 96 percent in the mineral-rich cave air. 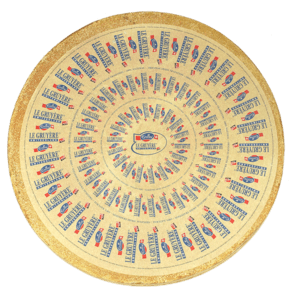 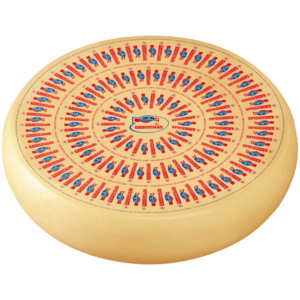 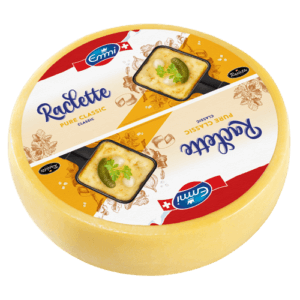 The enormous amount of cave-wall surface area helps regulate the aging atmosphere and promotes a stable setting for the cheese to ripen. 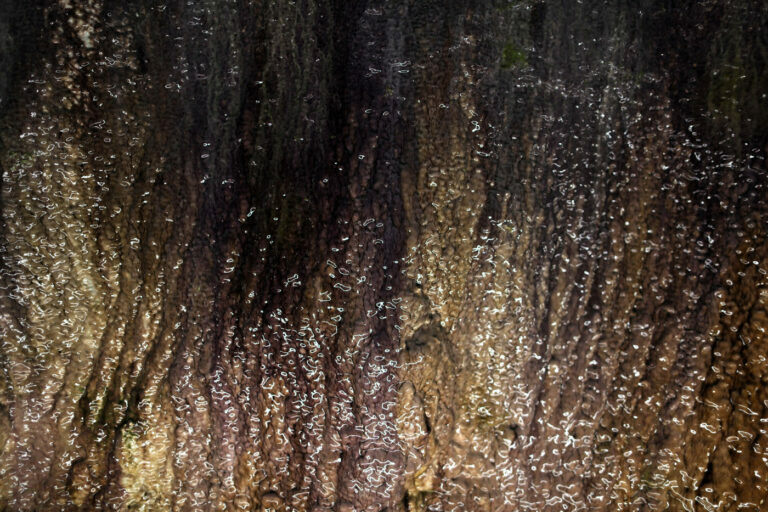 The porous nature of the sandstone acts a give and take—it gives moisture when needed and absorbs moisture when there is too much. 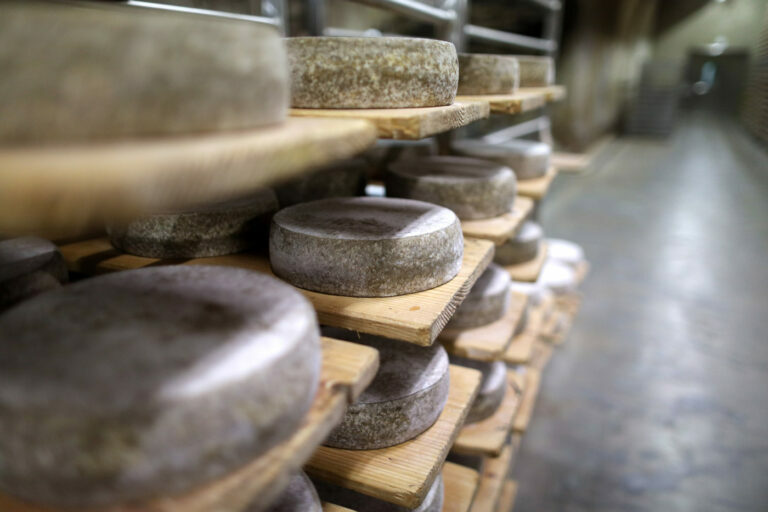 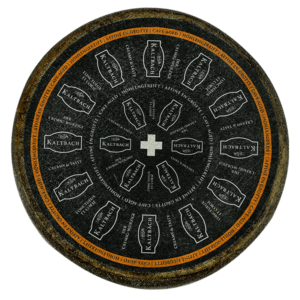 This natural process regulates the humidity, which is a crucial part of the texture and flavor development and what makes this cheese unlike any other in the world.